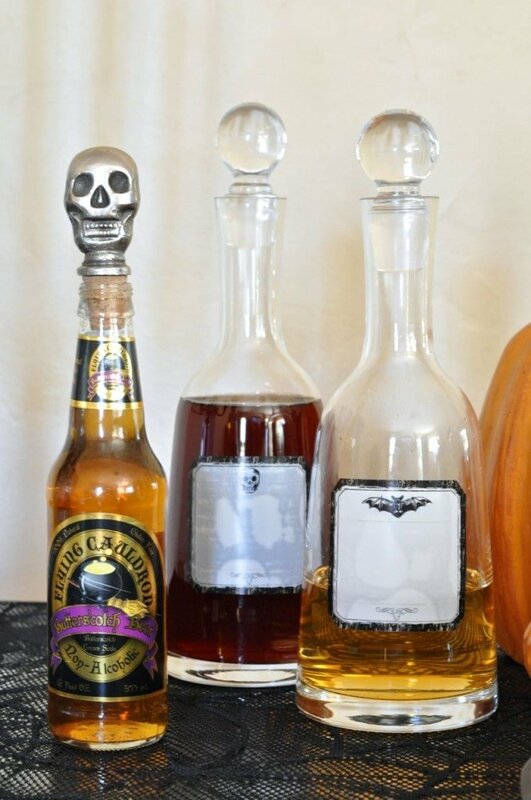 Thank you World Market for sponsoring these Halloween Entertaining Ideas. As always, all opinions and ideas are 100% my own. Eeeek, can you believe October is finally here?! 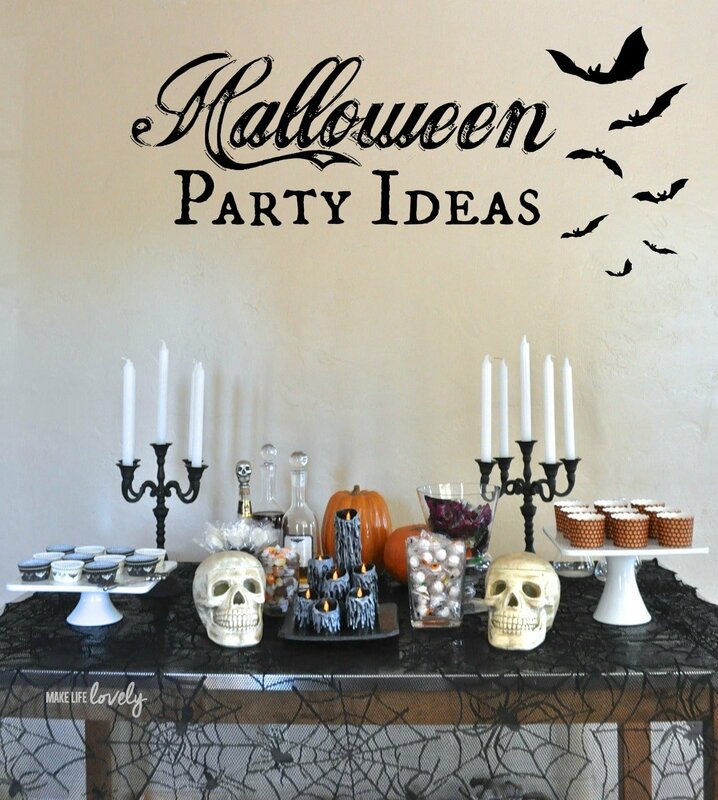 In preparation for Halloween entertaining and all things spooky, I set up my table for a Halloween party using some of my favorite Halloween decorations and Halloween candy from World Market. World Market has a TON of great Halloween decor that I fell in love with, and I don’t feel one bit sorry that I spend double what I was planning on spending there on my Halloween haul! 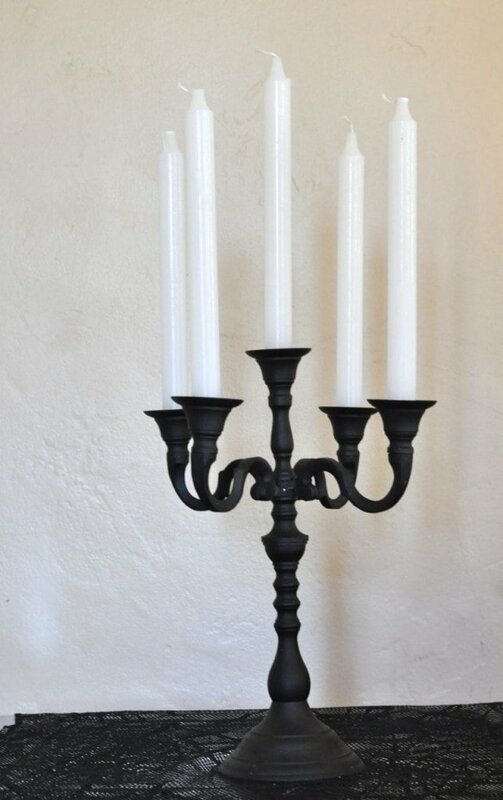 One thing you might notice is that when I find something I love at World Market, I usually buy it in double (sometimes even triple), so I just had to buy two of the black iron candelabras and two sets of white taper candles to go with them. The candelabras look like they came straight from Disneyland’s Haunted Mansion (remember the floating candelabra down the hallway on the ride? ), which makes me happy every time I see them. I also bought two of the paper pulp skull containers with lids that I LOVE! 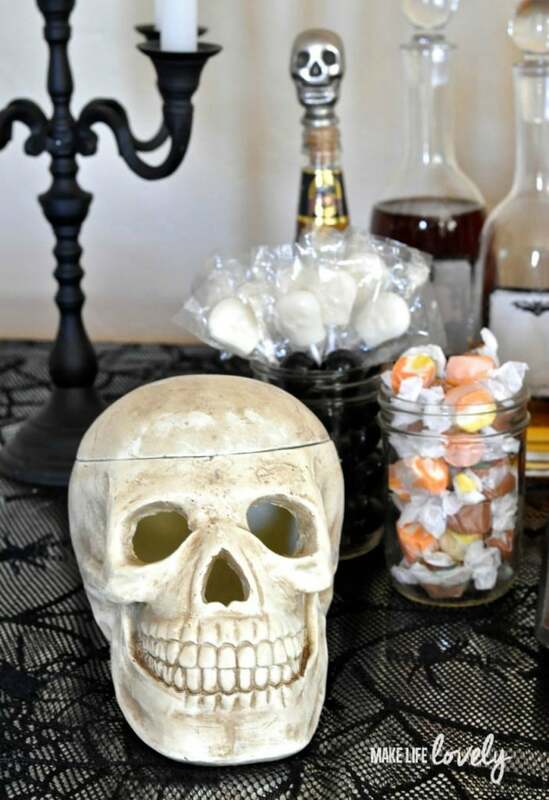 These skulls are great for holding wrapped candy, or even putting an LED candle inside so that the eyes glow. 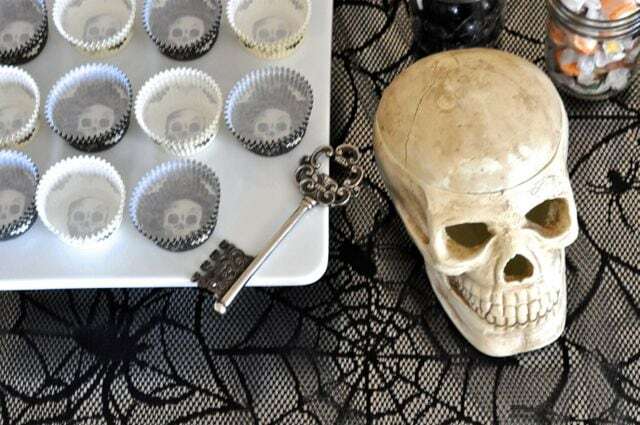 SO many possibilities and ways to creep out your guests with these! The table is covered in the gorgeous spider web tablecloth that is perfect for Halloween party or dinner. I love all of the fabulous details in the tablecloth, and the fact that it’s machine washable makes it even better. 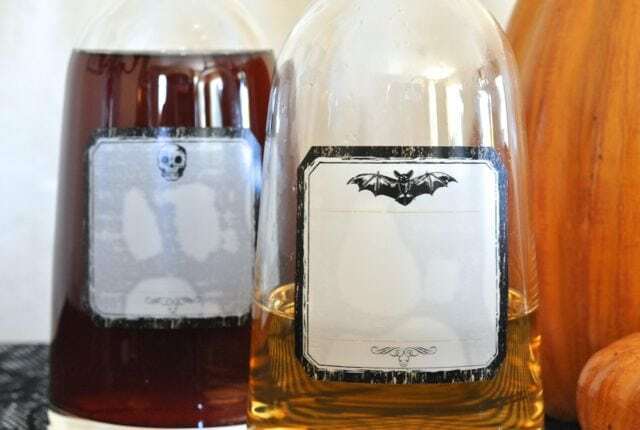 The two decanters in the back I found for half off at World Market, and they looked like old-fashioned bottles that could be found in an old potions lab, so I added some Halloween labels that I found at World Market to give them some extra spookiness. 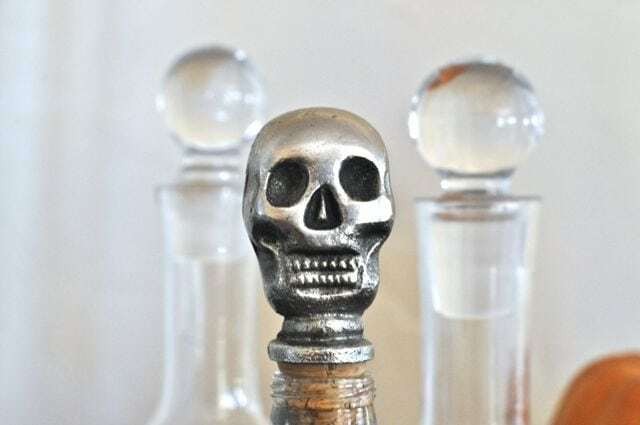 And just for fun and extra scariness, I added this skull bottle stopper to the top of the bottle. World Market had some cute baking cups that I got for cupcakes and for putting small candies inside. 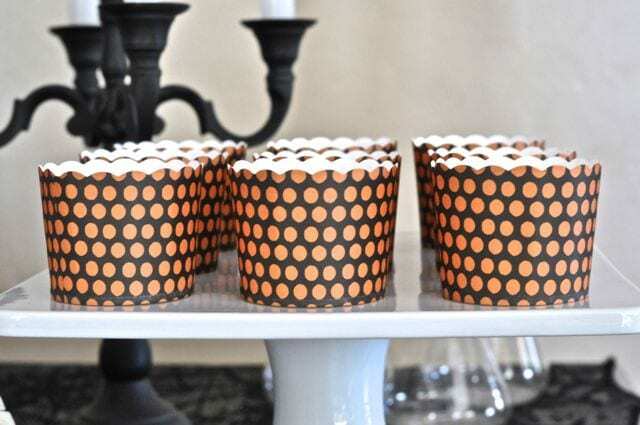 I placed some spooky dots baking liners on my tall white square cake stand and some on my shorter square white cake stand. I added my key bottle opener that I had on display at my fancy Downton Abbey tea party, because it has a sort of Gothic look that I thought would work for Halloween too. You would NEVER guess that this gorgeous key was a bottle opener, huh? 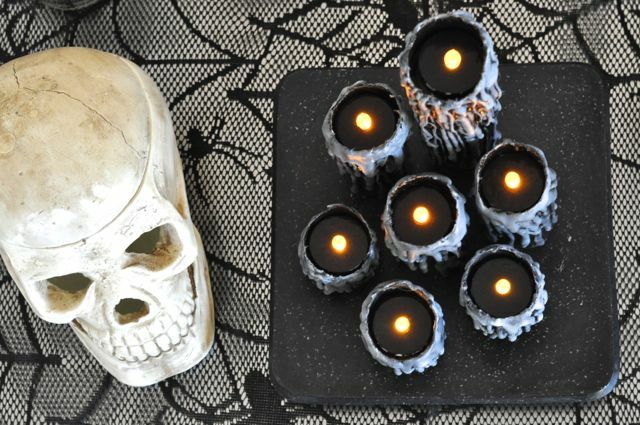 These spooky waxy candles will be coming to the blog soon! They were made out of toilet paper rolls and turned out amazing! 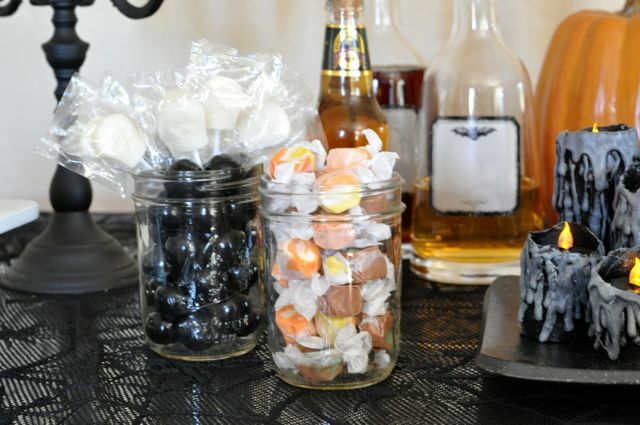 I had candy eyeballs, autumn mix taffy, black gum balls, white skull suckers, and Halloween ring pops all in glass jars and containers. And last but not least, these glass lab candle holders can be used to hold liquid (by taking out the little glass insert) or as candle holders. I need to figure out how to make them erupt (vinegar and baking soda maybe?) so that I can make them look like they came straight out a mad scientist’s lab! I hope this has given you a few Halloween entertaining and decorating ideas. Be sure to check out World Market for your Halloween supplies- they’ve got some great stuff! Good luck, and happy haunting! 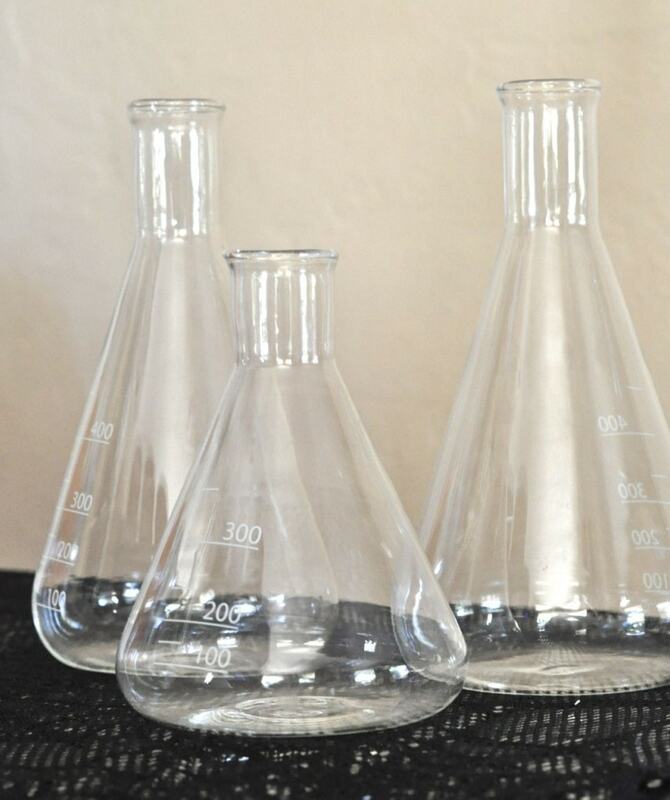 If you know of a great way to make liquid inside those glass lab candle holders bubble, I’d love to hear it! Just leave a comment below….